Tourism Australia’s chief marketing officer, Lisa Ronson, has resigned to take up a post with Coles Group. In a statement today, Tourism Australia managing director, John O’Sullivan, confirmed the departure and thanked Ronson for her work over the past four years. Ronson is joining Coles as chief marketing officer and reports directly to Coles CEO, Steve Cain, sitting on the executive leadership team. She officially starts on 1 May and is the first dedicated CMO at Coles for some time. Over the past year, marketing has been overseen by chief operating officer, Greg Davis, who remains in charge of the merchandise business unit, store development and the Coles brand teams. Ronson’s innovative work over her tenure, and in particular, the ambitious ‘Dundee' Superbowl campaign in 2018, which received a coveted Titanium Lion award at the 2018 Cannes Lions International Festival of Creativity, earned her the top spot in the 2018 edition of the CMO50 list of Australia’s most effective and innovative marketing leaders, produced by CMO. “Lisa has been a wonderful custodian of the Tourism Australia brand. In her time as CMO, she has brought a new level of customer centricity, commercial focus and creativity to our marketing,” O’Sullivan stated. “She is someone who believes passionately in the power of creative ideas and partnerships to deliver commercial results. That approach is certainly a big part of the legacy she leaves our organisation and especially evident with recent creative campaigns such as 'Aussie News Today', 'Dundee' and 'UnDiscover Australia'. For her part, Ronson said it had been an honour and a privilege to lead the Tourism Australia marketing team and help promote Australia globally. “I’ve been fortunate enough to work on so many amazing projects, with talented and enthusiastic people and for such a great brand. I will miss it a great deal, especially the team and the industry, but feel that the time is right to move on and hand over the reins," she said. Ronson stays on until March to assist the tourism authority on-board its newly appointed creative an digital agencies, M&C Saatchi, ASAP+ and Digitas. Ronson joined Tourism Australia in October 2014 after more than three years with Westpac as head of marketing services for Australian Financial Services. Prior to this, she was general manager of marketing at David Jones. Her resume also includes senior marketing and brand roles with Telstra, Visa and Carlton and United Breweries. Coles Group said Ronson's experience and track record in building tier-one consumer brands, as well as her use of data insights in building growth, made her a strong addition to the leadership team. 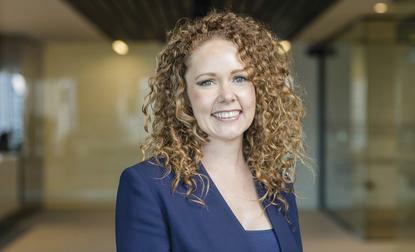 The ASX-listed supermarket giant also confirmed her inclusion on its leadership team brings female representation on its executive leadership team to 40 per cent. “I am confident Lisa’s experience working across a number of sectors, businesses and geographies will be of immense benefit to our business and our objective to make life easier for our customers,” Cain said in a statement.